As President of the United States, I have constitutional responsibility for the conduct of the foreign relations of the nation. The United States has announced that on January 1, 1979, it is recognizing the government of the People's Republic of China as the sole legal government of China and is terminating diplomatic relations with the Republic of China. The United States has also stated that, in the future, the American people will maintain commercial, cultural and other relations with the people of Taiwan without official government representation and without diplomatic relations. I am issuing this memorandum to facilitate maintaining those relations pending the enactment of legislation on the subject. (A) Departments and agencies currently having authority to conduct or carry outprograms, transactions, or other relations with or relating to Taiwan are directed to conduct and carry out those programs, transactions, and relations beginning January 1, 1979, in accordance with such authority and, as appropriate, through the instrumentality referred to in paragraph D below. (B) Existing international agreements and arrangements inforce between the United States and Taiwan shall continue in force and shall be performed and enforced by departments and agencies beginning January 1, 1979, in accordance with their terms and, as appropriate, through that instrumentality. 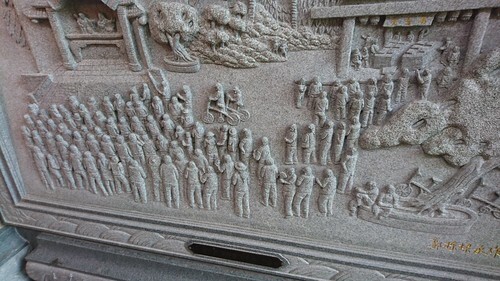 (c) In order to effectuate all of the provisions of this memorandum, whenever any law, regulation, or order of the United States refers to a foreign country, nation, state, government, or similar entity, departments and agencies shall construe those terms and apply those laws, regulations, or orders to include Taiwan. (D) Inconducting and carrying out programs, transactions, and other relations with the people on Taiwan, interests of the people of the United States will be represented as appropriate by an unofficial instrumentality in corporate form, to be identified shortly. (E) The above directives shall apply to and be carried out by all departments and agencies, except as I may otherwise determine. I shall submit to the Congress a request for legislation relative to non-governmental relationships between the American people and the people on Taiwan. 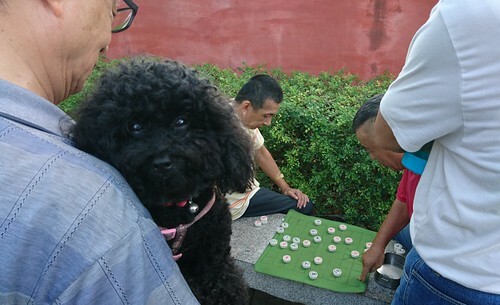 The dog can't believe that move either. Lawrence Chung over at SCMP gives us the anti-DPP take on the recent blackout fiasco. The officials’ resignations and Tsai’s apology, however, have failed to address public concerns over whether the government is able to keep its promise that there would be no power shortages as result of the government’s plans to scrap nuclear power. Tsai has promised a nuclear-free Taiwan by 2025 – using green or renewable energy like wind, solar and water, as well as gas and coal – to replace the energy now generated by the island’s three nuclear power plants. And of course, the Economist. No need to comment. Like those weird evangelicals for whom the cure for all social problems is more Jesus, for the nuke cult, the cure for all power troubles is more nukes. The incident took place on Tuesday at around 4.50pm when an operational error by government-owned CPC Corporation caused power generation at the gas-fuelled Datan plant in Taoyuan, northern Taiwan to be temporarily interrupted. The result was a total shortfall of 4.65 million kilowatts all over the island. The Datan plant has a capacity of 4.2GW and, at the time of the blackout, all six of its generators were running at full capacity. Therefore, the supply from Datan was, at the time, in excess of the operating reserve. As far as systemic stability is concerned, should the generators at the Datan plant suddenly, for whatever reason, cease supplying electricity, the operating reserve would be unable to make up for the loss. As a result, this is an issue of power grid risk management. 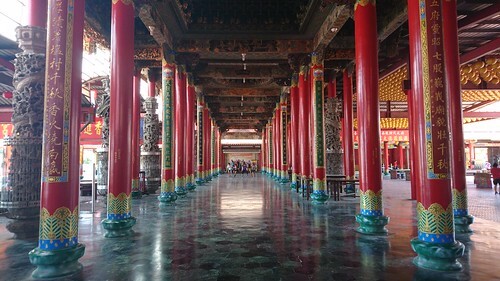 The problem was that, as this was happening, CPC and Taiwan Power Co (Taipower) had underestimated the supply-side risk of the system, and neglected the fact that the operating reserve was insufficient for accommodating a shut-down of the supply at the Datan plant. With this low operating reserve, engineers were sent to replace valve components that controlled the natural gas supply at the plant, a process that they carried out without adhering to proper procedure, putting the system in jeopardy. Operator error at a natural gas plant inconveniences the public for a few hours. Operator error at a nuke plant can kill people. Yet Taiwan's state-run firms (both CPC which was responsible for the error, and Taipower, are state-owned) are not exactly known for their inspiring safety culture. In 2008, there was a scandal in the construction of the fourth nuclear power plant in Taiwan because the constructor changed the original design without authorization. Later, the control room was submerged in a typhoon. Recently, the plant has failed in a number of safety tests. Yet the constructors are hurrying to complete construction because of orders from the top. Is this a risk we want to take? Global Post itemized the problems with that plant. But to return to the point about the nation's nuclear policy lying in tatters, it lies "in tatters" because there was never any nuclear policy -- it started out "in tatters".There is still, after five decades of nuke plant operations in Taiwan, no place or policy for long-term storage of nuclear waste. There is no plan or place to evacuate Taipei in the event of a catastrophe at of one of the three plants that ring the city. The plant is rife with construction irregularities (Global Post). The Fourth Nuke Zombie was supposed to have a tsunami assessment performed, but this was never done. If the nuclear policy is in tatters, it is because its supporters never had one that made any sense. It was just another construction-industrial state project, building, always building, just as it is with dams, roads, and other infrastructure. Indeed, one could point out that KMT might have begun this mess because it knows perfectly well that the Fourth Nuclear Plant construction is rife with irregularities and that its local suppliers have little or no experience. Thus, it could never be opened. The government merely waited until all the money had been spent and the thing was almost completed, as if to ensure that its patronage networks had been properly fed and watered. Since a 1994 local referendum rejected the plant by +90% vote, and the public remains opposed to it, this whole mess might be the KMT's way of getting the plant shut down without taking the blame for it, as it did when it killed that monster naptha cracker in Changhua. "Those damn street protesters! They tied our hands!" Then when electricity prices go up as they must because they are far too low, the government can blame the anti-nuke types as well. My cynical guess would be that the KMT never anticipated that things would go in this direction. But never mind all that. Perhaps the government can be strong-armed into buying US nuclear power reactors as it was forty years ago, to replace all our aging reactors. So we're going to have a more stable electricity supply, right? One of the reactors at Taiwan Power Company's (Taipower) second nuclear power plant in New Taipei has shut down and the cause is being investigated, the company said Monday. It said maintenance of the reactor had been completed recently and the reactor was restarted May 16, but half an hour later, it automatically shut down for reasons that are not yet clear. This means the reactor is likely to be offline for at least a month, the power company said, estimating a restart date sometime in July. The shutdown of the reactor raises concerns about a power supply crisis in Taiwan, given the current high temperatures and the fact that several other nuclear power reactors currently are offline for maintenance. Taipei, July 23 (CNA) A reactor at the No. 3 nuclear power plant in Pingtung County was shut down Sunday morning due to a cooling system failure, which could strain Taiwan's power supply this week, Taiwan Power Co. (Taipower) said. In June of 2017 rain brought down a power tower, so a nuke plant went into emergency shutdown. How many of you know that one reactor at the first nuke plant has been offline since 2014? Or that the nuke plant in Pingtung was damaged via operator error in May of this year? The reactor at Jinshan accidentally tripped last year, putting pressure on the power supply... since 2002 the nation's reactors have suffered 29 trigger events. These failures are not a new trend. But as the plants age, these problems will only grow. The clear lesson of the Datan debacle is not that we need more nukes. It is that institutionally Taiwan is not ready for a nuke future. Especially given the lack of oversight the legislature gives our state-run firms and their all-important budgets. The real and only answer to Taiwan's power problems is massive and urgent investment in conservation and renewables. Now. News Lens interview with Syaru Shirley Lin on Taiwanese identity. 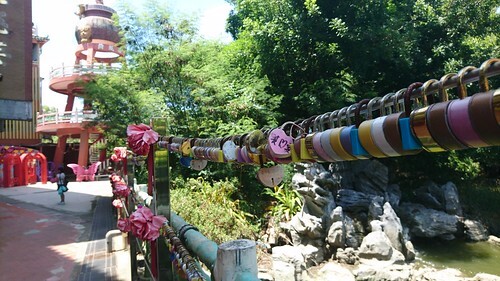 Locks hung by lovers to symbolize relationships never broken at a truly silly lovers' corner behind the big temple in Beimen, Tainan. Thanks for all the kind thoughts for speedy healing, dear readers. I really appreciate that you took a moment to say that. As New Lens points out, the common saying in Taiwan is that minimum wage is 22K, but this bit of wisdom is wrong: the actual minimum is 21K. Note that labor wanted a large increment, but business groups simply walked out of the meeting when a much fairer minimum wage was proposed. 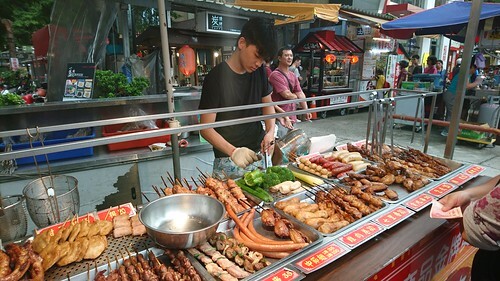 However, whereas the profits of Taiwan’s corporations have grown, the wage share of Taiwan’s workers has continuously dropped, from 51.04 percent to 43.97 percent. Profits, productivity, and the economy are all growing. The only reason that wages are not keeping pace is because political decisions made by powerful elites are suppressing wage growth. The gap between wages and productivity represents money stolen from workers and handed to already incredibly wealthy corporate owners. Such a massive transfer of wealth could not be sustained over decades unless it was maintained by political choices at the top. We empirically demonstrate that, despite the continued growth of labor productivity, the benefits from economic growth allocated to workers have been falling, and that this process has accelerated following the 2008–2009 financial crisis. The labor market institutional effect contributed partially to the problem. Workers’ purchasing power, measured by the real consumption wage rate, has been declining for a relatively long period, implying significant deterioration of terms-of-trade, and cutting real wage growth by as much as 2.23% per year. The terms-of-trade effect is particularly prominent in the manufacturing sector, which is highly export-oriented. Moreover, we found cash wages to be very sensitive to the rise in the rate of unemployment, and to the changes in output performance of the industry in which the workers are employed. The latter factor significantly reduced the cash wages paid to workers in the manufacturing sector, which highlighted the waning of workers’ bargaining power regarding wages, as well as the negative impact of globalization on the labor market. We therefore conclude that the deterioration of terms-of-trade, increases in the aggregate unemployment rate, the adverse globalization effect and the institutional effect might be the main driving forces for real wage stagnancy in Taiwan. It's important to realize a couple of things. First, globalization is not to blame. Globalization is an external force, which locals must respond to. When typhoons come and some town floods, no one says "oh, that can't be helped, typhoons do that". Everyone instead asks why the government did not anticipate the flood. Globalization is similar. If workers are pummeled by globalization, then the question that needs to be asked is why the government isn't doing anything about it. When people offer globalization as a "cause" of low wages they are engaging in a game of Three Card Monte with causation, hiding the reality of political suppression of wage growth behind "it can't be helped, it's globalization". Second, this longtime productivity wage gap -- note that it began worsening severely at the beginning of the Ma years though it long predates that -- is pro-China. Whether Beijing's policies or Taiwan's corporate elites slowly erode Taiwan's economy is not relevant, because the outcome is the same. Want an independent Taiwan? We need a robust economy, with good wages and strong unions. I do not expect anything to change under Tsai, partly because powerful corporate interests own one party and heavily influence the other, and because Tsai is a neoliberal, not a progressive. DON'T MISS: This review of the Formosa Steel plant disaster in Vietnam is both brilliant and beautifully written. NY Review of Books: The Lonely Struggle of Li Ching-yu, Lee Ming-che's wife. J Michael sounds on a theme I have long written about, the lack of support for Taiwan among progressives and liberals. Great rip of a bad piece of writing. MOFA reiterates ROC sovereignty over unnecessary and indefensible Taiping Island in the Spratlys, pointlessly trolling Vietnam. The Administration should be quiet about its false and absurd claims to the South China Sea. Locally-based internationally known videographer Tobie Openshaw recounts his experience of being bitten by a venomous snake. In the summer I always feel it is strange to see junior high and high school kids out and about. Usually they are suffering in some kind of summer school. One hardly sees them by day, only when crowding the trains late at night. Thus are Taiwanese socialized into the brutal, exploitative work schedules Taiwan bosses routinely employ. The big news while I was resting was the great power outtage. Actually I had no idea it occurred, since my part of Taichung suffered no outtage, and I was probably reading and playing computer games. A mistake by a China Petroleum employee cut off the supply of gas to the Datan gas plant for two minutes, triggering a massive blackout, with people trapped in elevators. Over 6 million were affected. The KMT naturally attacked the Administration, ignoring the fact that the lax attitude towards procedures and safety at government-owned firms is the product of KMT control. Brill is introducing the International Journal of Taiwan Studies. Solid editorial team, looks like it will be great. Can't wait. The KMT is so desperate to stop the Forward Looking Infrastructure plan it flooded the legislature with 10,000 motions against it, paralyzing the body. The KMT is terribly worried that its carefully nurtured patronage networks in the hinterland will swing over to the DPP once the DPP government gets the money taps turned on. On the lighter side, a former hit man claimed Ma Ying-jeou, when Chair of the KMT, paid him to kill Alex Tsai, KMT ideologue. Also on the lighter side, longtime party apparatchik Wu Den-yih, now Chair of the KMT, promised to reform and moderate the KMT. Yeah, like that will happen: reform of the KMT has been a theme of party insiders and outside critics alike for at least 15 years now. The Tsai government aims to get the island off nuclear power in 2025, and only three of six nuclear power plants are presently in operation. The mass blackout Aug. 15 came amid growing concerns that slow-starting operations at fossil fuel plants, which are supposed to provide alternative power sources, may lead to an energy shortage. While human error was blamed for the blackout, Tsai's government took the worst of the heat. A June poll by civilian broadcaster TVBS Media found Tsai's approval rating had fallen to 21%, the lowest since she took office in May 2016, while disapproval was triple that at 63%. The blackout will further erode support, say many including Fan Shih-ping, a professor of political science at National Taiwan Normal University. Note that the article says we have 6 nuke plants, though we only have four. Perhaps it meant six reactors, though with the 4th Nuke there are eight in Taiwan. As proof of Tsai's slumping ratings, we get a poll from a pro-KMT broadcaster owned by Chinese investors -- from June. One could just as well have cited the high approval ratings for Tsai's diplomatic policies, which are more recent. The article mentions the pension reform and the backlash from pensioners, but doesn't mention that at least one poll has found the pension reform pushed up Tsai's ratings (from July). The Taiwan Public Opinion Foundation has her approval at 28%. It's pretty obvious that the TVBS poll is nonsense. The disgraceful blocking of the entrance of Taiwan's athletes into the Universiade Games by pension protesters was widely condemned in Taiwan. Mayor Ko of Taipei made himself more popular with a smart comeback to criticism. He will be tough to beat in the next election: approval is at 60% right now (link). If Taiwanese were willing to trade their lives, assets and sacred honor for Taiwanese independence, they would win the support of the international community, but the nation is not ready for that. Unfortunately, Lee mistranslated Stephen Yates' remarks. The Youtube video is here, the key passages start around 13 min and go to 20 min. Yates did not say "they would win the support of the international community" -- he actually made a completely different point, that the Founding Fathers of the US didn't ask the England or France or the international community for help,they just decided on their own to do it. He added that "if Taiwan had this consensus.... [gesture] but we're not there yet." It would have been great if someone had checked Lee's translation against the actual video. New Bloom then ran with that translation with another one of its tiresome attacks on America and American officials who support Taiwan. If Brian thinks that "it is hard to know how Yates comes off as a “friend of Taiwan” at all" he is welcome to sit down with people who actually have known Yates for years and learn why so many people in this movement Brian so very recently joined consider Yates to be a friend of Taiwan. I will be happy to introduce him. 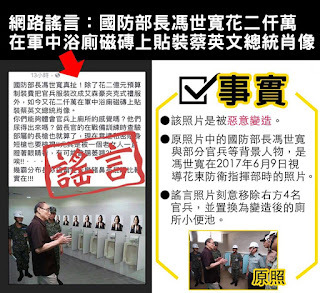 The faked image on the left has Tsai Ing-wen's photo above the urinals, as if to say the military hates her. The original is on the right. Expect a flood of this garbage in the next election cycle. Tech factory that was the site of 4 deaths forced employees to work 34 days in a row. Punishment? US$600 fine. What a joke labor law enforcement is. The Tibetan and Mongolian Affairs Commission is going to bite the dust. Will the MAC go in Tsai's second term? Taiwan's lost commercial cinema of the 50s and 60s, found. Commonwealth on the brain drain. TIME on same. Japan Times on same. Taiwan to submit LOR for F-35 fighters. This may be maneuvering for something lesser, like F-16s. Ask for too much, get F-16s as a realistic consolation prize. Owner blocks ambulance because she did not want man dying in her house and lowering its value. Still no justice for alleged fish poisoning by Taiwanese firm in Vietnam? Thomas Shattuck on the US looking to the Far East for dealing with the monuments put up by White Supremicists in the 1910s and 1920s. Those are victory monuments honoring not Confederate leaders of the lost war, but the Southern winning of the peace via Jim Crow, ethnic cleansing of blacks, theft of black land, re-enslavement of blacks via debt slavery, and similar. 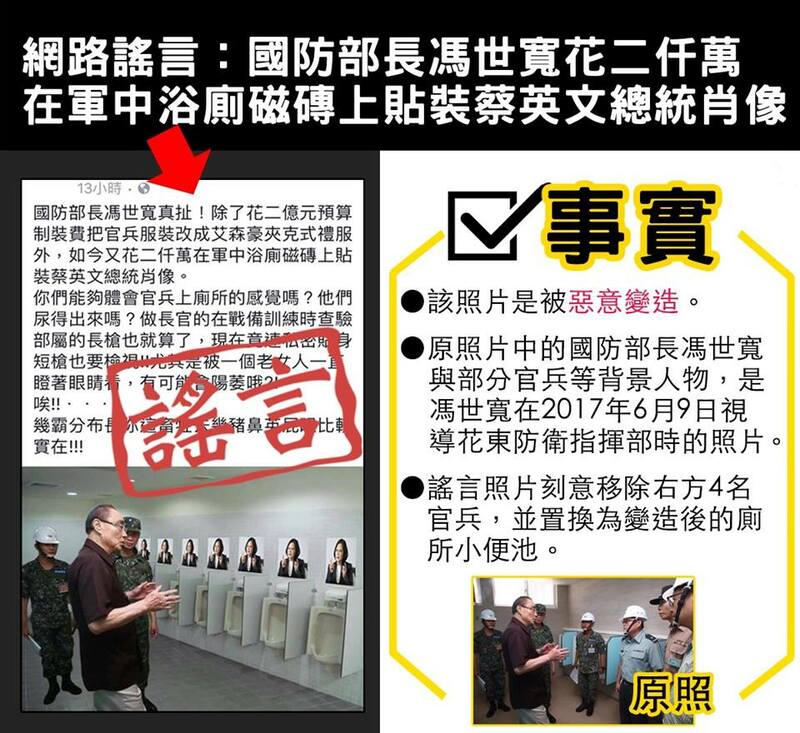 Everyone on the Taipei Dome review committee has been listed as a defendant in the investigation. This case occurred during Ma's tenure as mayor, and may come back to him again. A predictably pro-nuke piece from Qz.com on Taiwan's electricity needs. I took the last two weeks off because I had surgery. In July I went to a favorite swimming hole in Miaoli on my bike. You have to climb down to the creek. After lolling about in the water for a while, we climbed back up to the road. As I was climbing, pulling myself up with a tree branch, I had one of those you're not 23 anymore moments: pulling myself up, my foot slid down off a rock, yanking my core muscles in two opposite directions. Pain. I got back to the house and realized it must be a hernia. So the next day I went to the doctor. Doc couldn't find the hernia by touch, so he sent me off to get an CAT scan, which revealed a very tiny hernia that eventually healed of its own accord. But the scan found a ginormous gallstone which had destroyed my gall bladder. The doc recommended removal. I had never had surgery before, and hemmed and hawed. But if the thing, which caused me very little pain, became acute during the semester, it would knock me out for a couple of weeks, and possibly out of a job. So I scheduled surgery for early August. Care was on the whole good. I was in the hospital near my house, for convenience' sake. I was in the hospital for two nights, then sent home. Healing is going well. For those of you who are wondering, total cost to me was NT$22,000. 13,000 of that was elective costs. If I had gone the cheapest route, I would have paid only $9000 NT, or about $300 US. Frankly, if you are not a supporter of universal single payer health care, you're either a fool or malicious. The high cost of health care in the US has two key functions: (1) it transfers wealth to the already fantastically wealthy and (2) it helps convince people that health care must be expensive and the nation can't afford it. In reality, US health care costs are incredibly inflated, because there are incredible profits to be made. That said, the experience also highlighted many of the Taiwan system's problems. There are not enough nurses, so patients subsidize the system by providing family members who care for the patient. My wife slept in the hospital in case I needed help, and my kids came in rotation to stay with me for a while. The lack of nurses -- because hospitals regard nurses as costs but doctors as profit centers -- has many pernicious effects. Care is brisk yet the nurses are shockingly kind considering how overworked they are, but they make numerous small errors, since they are tired from lack of sleep and overwork. At one point I ambled out of my ward to ask for painkillers and the night nurse dialed up my case on her work station and handed me some medicine. Except she clicked on the wrong name and gave me the wrong medicine. Fortunately I watched her do it and gently told her it was the wrong name. Hospitals in Taiwan are basically administrated the way factories in Taiwan are: production is maximized, costs are minimized, and the labor force is exploited to the extent possible. 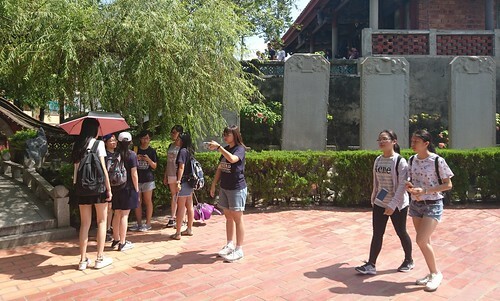 The result of overworking nurses is that Taiwan has a persistent shortage of them despite graduating more than the island needs, because so many trained as nurses don't go into nursing or eventually make their way abroad. UPDATE: Tobie Openshaw's experience of being bitten by a venomous Habu and the treatment and costs. I am taking a couple of weeks off. I should be back late in August. Have a great summer! One Year on: Tsai's failed apology? 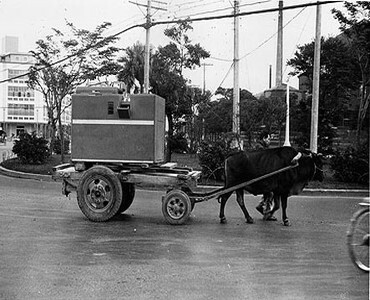 IBM mobile computer: Data recorder used in 1961 agricultural census on Taiwan (photo from 1963 when it was being moved. By oxcart). It's been a year since President Tsai made her apology to the aborigines. Failed promises? Aboriginal rights campaigners yesterday condemned the government for having not carried out a promise to reinstate traditional Aboriginal territories, and they demanded that an independent agency be established to restore Aboriginal rights to land and transitional justice. They criticized the guidelines the Cabinet released on Feb. 14 on the delineation of traditional Aboriginal territories, which would restrict the application of the “traditional area” label to government-owned land, explicitly excluding private land. It would reduce recognized traditional territories from 1.8 million hectares to 800,000 hectares while companies would be allowed to develop traditional Aboriginal land that is now in private hands without the consent of local Aborigines, they said. “Tsai promised that the government would prioritize the issue of traditional territories, but it turns out it is only limited to government-owned land,” Amis activist Panai Kusui said. Following President Tsai Ing-wen’s (蔡英文) official apology to the nation’s Aborigines on Aug. 1 last year, many assumed that the government would adhere to the Indigenous Peoples Basic Act (原住民族基本法) announced on Feb. 5, 2005. However, on March 14, then-Bureau of Mining Affairs director Chu Ming-chao (朱明昭) approved an application by Asia Cement to renew its mining license near Taroko National Park for 20 years. Chu’s retirement immediately after the approval has led to suspicions of a quid pro quo deal. Late film director Chi Po-lin’s (齊柏林) observations of Asia Cement’s quarry in Hualien led to a public outcry over the renewal. About 21,000 people petitioned the government to revoke the license, while environmentalists demanded that the government conduct an environmental impact assessment on the mining site and follow Article 21 of the Indigenous Peoples Basic Act. Premier Lin Chuan (林全) ordered a review of the approval process. On June 19, the Ministry of Economic Affairs confirmed that the license would be renewed, as it did not find anything illegal regarding the application. Ironically, Tsai on July 14 presented a special award at Chi’s memorial service to his family for the director’s contribution to the nation. Fudnamentally, there was an uproar over the approvals. The government re-investigated... and nothing was found to be wrong. Stupid. That factory has to go -- it is an easy symbolic move that costs Taiwan nothing (backgrounder here), would help the aborigines, would help the DPP with a wide swathe of voters, and would be a way for the Administration to meaningfully distance itself from the previous KMT Administration with deeds, not words. Taiwan Ethnographic Film Festival, Oct 6-10th this year. Traveling Taiwan by bus. You want this in your links. State Department source says US likes and supports Tsai's southbound policy. This is a miracle: there are still people working at the State Department? Foreign Policy: The Day the Trump Administration lost the South China Sea. Vietnam gave in to China. Who is next? As three more fraud suspects are deported from Cambodia to China, 22 are arrested in Indonesia. WSJ is now accepting advertorials from Xinhua, meaning that Chinese propaganda is being pumped into the heart of a widely read media organ. That's right, the same editorial board that ripped Trump for being a Russian tool has become a Chinese tool. PFP Deputy Sec-Gen dies after short coma. Taichung passes K-town to become number 2 city in Taiwan in population. My taste in cities is excellent. Is a religious leader a con man? Applications for three day working holiday (volunteer work) fixing the Alishan railway end Aug 10. How Taiwan is learning from the Maori. Cole in The National Interest: Will China's information warfare destabilize Taiwan? My contract with Forbes was terminated for my article on Chinese influence at the Asia Society (see https://www.hongkongfp.com/…/deleted-forbes-article-critic…/ for details). Panos Mourdoukoutas is now writing at Forbes, for example on the South China Sea. He writes, "Vietnam and India need to learn from President Duterte’s wisdom. They should ask Beijing before they make any drilling plans in China’s 'own sea.'" The article's language is pro-China, stilted, and has grammatical and typesetting mistakes. The analysis is paper-thin. Forbes is 95% owned by the obscure Hong Kong-based "Integrated Whale Media" company and is well on the way to losing credibility in its foreign policy analysis. Having tested the limits of a Hong Kong-based media company, I'm now writing for my own www.jpolrisk.com, editing a book on the South China Sea for U.S Naval Institute Press, and for Routledge, writing a chapter on Chinese influence in the U.K.